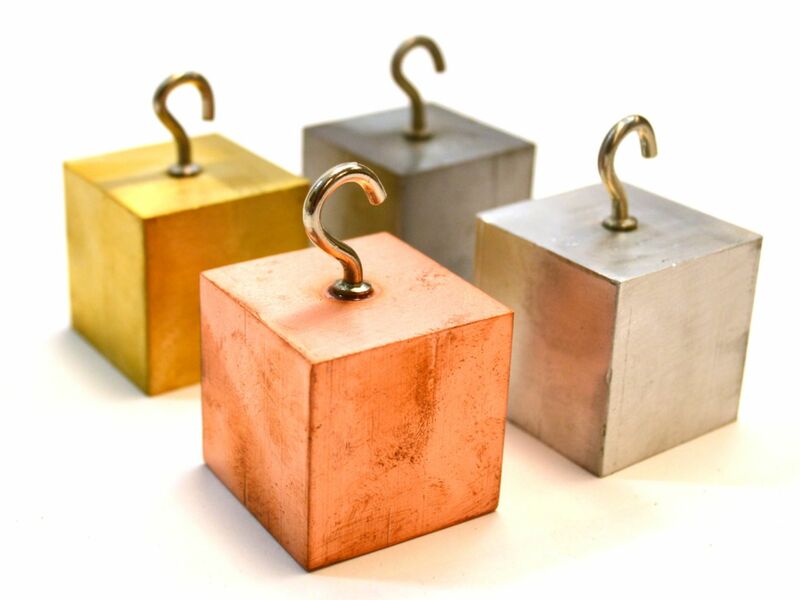 Density Cubes, Set of 4 Metals with Hooks, 1.26" (32 mm) sides, lead free. This versatile set is ideal for studying density and specific heat without using lead. A block of brass, copper, aluminum, and steel are included in the kit along with a complete instruction manual that gives background on density, specific gravity, and specific heat and contains three student activities with capture sheets and a lab practical quiz. Each mass is 32mm cubed. The hook on top of the cubes makes it easy to measure mass using a spring scale as well as easy to add and remove masses from boiling water for specific heat experiments.